NO WATER PRESSURE FROM A FAUCET? Try removing the aerator from the end of the faucet spout and cleaning out the debris? Or, is the water supply valves under the sink turned on? Or is the Main water valve outside turned on? Did you try removing excess amounts of food from the garbage disposal? WHEN THE BATHROOM BASIN OR TUB/SHOWER WILL NOT DRAIN – DID YOU TRY? Removing strands of hair which might have become tangled around the drain guard or the pop-up stopper? If you use a drain cleaner, please use the liquid and NOT the crystal type. The crystal type can harden in the drain and/or react with the industrial drain cleaner used by the servicemen. Also, always tell your serviceman if you have tried ANY drain cleaners before he was called. WHEN A TOILET WILL NOT FLUSH – DID YOU TRY? Check the toilet trip lever assembly inside the toilet tank is it intact? Or, making sure the water supply valve is completely turned on? DON’T put foreign matter in the toilet, i.e. sanitary napkins, tampons or disposable diapers. These should not be flushed down toilets and if found by servicemen, TENANT will pay for the service call. WHEN GARBAGE DISPOSAL WILL NOT RUN – DID YOU TRY? WITH THE DISPOSAL IN THE OFF POSITION & UNPLUGGED, removing any foreign objects, nails, hairpins, pop tops and /or un-disposed food from the blade area, then engaging the RESET button on the body of the disposal? NEVER put fibrous fruit or vegetables, such as celery, banana skins, rhubarb, artichokes or bones into a disposal. You may also try sticking in a broom handle to dislodge the blades from hardened food; using the handle as leverage to manually spin the blades. Unjamming a garbage disposal is something that comes inherent with the appliance. They all have a function to shut off, much like a circuit break, when they are jammed to the point of completely stalling the motor. This is to prevent motor burn out. They also are designed so anyone can dislodge whatever is inhibiting operation. Underneath every unit is a hex-head slot–Allen key will work just as well. Use the allen key/wrench to spin the blades from the slot underneath the unit until the blades seem to move freely. Press the reset button to see if you dislodged the obstruction. WHEN THE DISHWASHER WILL NOT RUN OR WILL NOT DRAIN – DID YOU TRY? Removing any objects (utensils, broken glass, foodstuffs, etc) that might have fallen into the area under the spray bar in the bottom of the machine (especially PAPER)? Or, making sure the controls are correctly set? NOTE: the dishes, glasses, utensils should ALWAYS be rinsed well before loading them into the machine. If a glass is broken in the machine, always remove ALL glass before staring again. WHEN A CIRCUIT BREAKER IS TRIPPED – DID YOU TRY? Switching the circuit breaker first to the OFF position and then back to the ON position? If you have had to reset the same circuit breaker several times or it won’t come on, you may have too many items running on the circuit, turn them off and try again. Please tell the serviceman about this. WHEN CENTRAL AIR CONDITIONING/HEATER WILL NOT COME ON – DID YOU TRY? WHEN MULTIPLE OUTLETS DON’T WORK IN THE BATHROOM OR KITCHEN-DID YOU TRY? 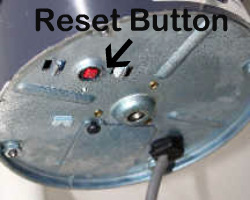 Resetting the GFCI outlets normally found in bathrooms, kitchens or garages? 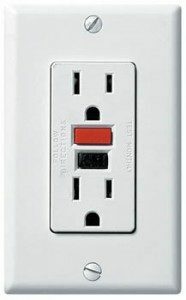 If a GFCI outlet is tripped, it might affect outlets in adjacent rooms if they were piggy backed from that GFCI outlet which needs to be reset. Turn off any appliances plugged into the GFCI breaker. This ensures no appliance damage when re-engaging the circuit. Turn the appliances back on to ensure the outlet works. If a problem persists then make sure to call Esquire Property Management and we will create a work order for an electrician to diagnose the problem. WHEN ROOM AIR CONDITIONER OR WALL HEATER WON’T COME ON – DID YOU TRY? Make sure all controls are properly set? Is the circuit breaker tripped? ALL Air Conditioners (central and room models) and ALL central furnaces have air flow FILTERS. Make sure the FILTER IS KEPT CLEAN BY CHANGING the disposable type or cleaning the washable type MONTHLY. ALL GAS FIRED APPLIANCES: FURNACES, OVENS, COOKTOPS, WATER HEATERS THAT ARE NOT WORKING – DID YOU TRY? Checking to see if the Pilot Light was lit? Relighting the Pilot Light? (If you do relight the Pilot Light – be sure to follow the instructions on the appliance) If you smell gas, DO NOT attempt to relight the Pilot Light!